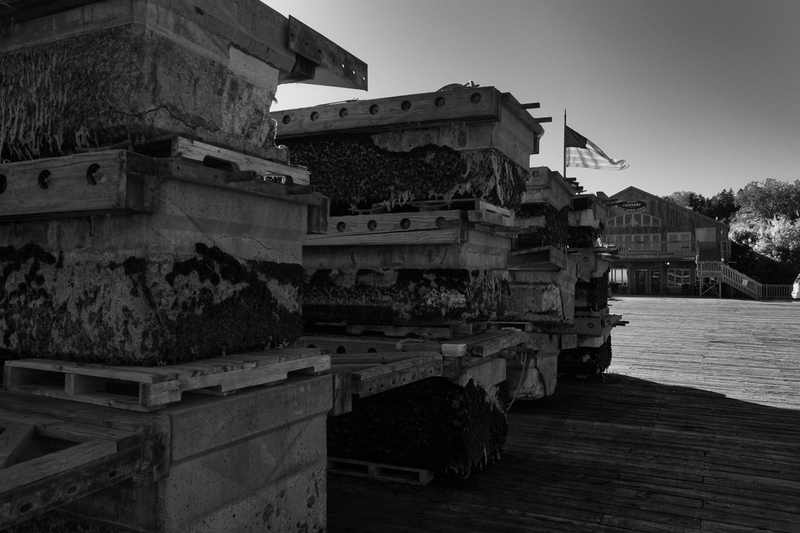 You can’ really see the barnacles very well, but they were what drew my attention to these floating dock pontoons. I could have edited the image to make them more visible, but really, who wants to look at barnacles. This meant the photo is heavily about the contrast between ligh and dark, sun and shadow, which made it an excellent candidate for black and white week. This is from my nXnw 2014 trip to Acadia National Park in Maine.